This is one of the foods we ate at Seoul Barbecue on my former boss' birthday last December. I still have to post on my main blog our meeting with him 3 days before his birthday. It's supposed to be our treat to him but he paid the bills lol! It's one of Sir Bob's favorite resto along Libis, it's also where he treats us for lunch meetings. Riz, Osang and I resigned from BT&T for over a year, the two left earlier than me, and we thought of having some kind of reunion birthday treat for our dear boss. Our friend/officemate Win who is currently employed there joined us. 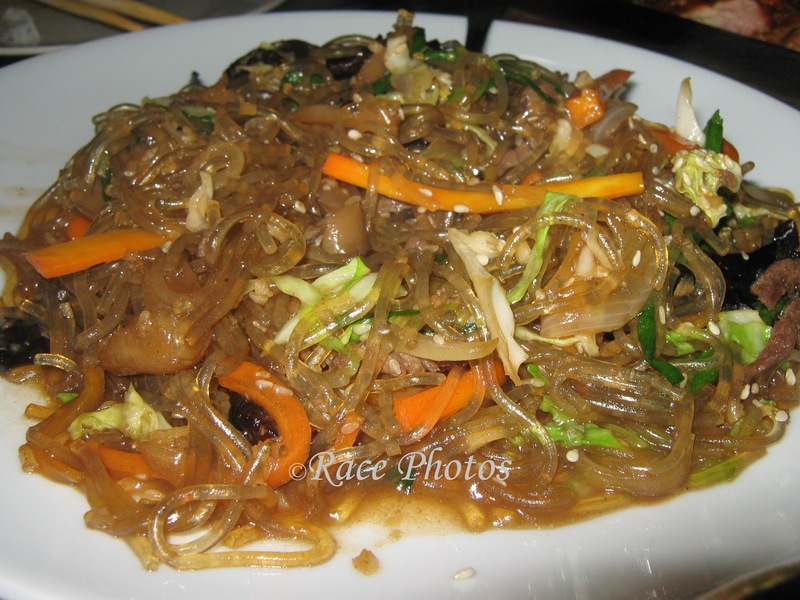 I'm not much into Korean dishes as I find some of their dishes too hot but I love the taste of Japchae particularly the noodles and the combination of spices put into it. Visit other delicious foods around the globe, click the top badges! love noodles and spicy food! :) Happy FTF!